Euan Davis leads Cognizant’s Center for the Future of Work in EMEA. 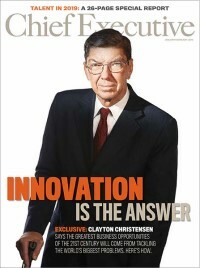 A respected speaker and thinker, he has guided many Fortune 500 companies into the future of work. Thriving in the digital era demands a corporate culture that values innovation and collaboration. The best leaders recognize that talented, inspired people are their company’s main engine for success.